I am fascinated by independent perfumers. American indie perfumers like Mandy Aftel, Alaya Moriel, Dawn Spencer Hurwitz or Serena Ava Franco are amazing talents and following their work is something I am very interested in. Thanks to the internet those wonderful perfumes are also available in my neck of the woods. For my first indie experience, I took the plunge and ordered unsniffed (this is a case of “What else can I do?”) a few gems by Ava Luxe, the brand of perfumer Serena Ava Franco from Providence, Rhode Island. They arrived lovingly packaged, with samples added. I fell in love with one name first. Love’s True Bluish Light – what´s not to love here? It is an amazing name. Turns out it is a lovely fragrance that bears it. Love’s True Bluish Lights smells like cookies and cream, that’s what the men in my life say, at least. It is sweet, soft, the ultimate comfort scent. Notes include white vanilla, white amber, milky notes and musk. It won’t bowl you over with either sillage or longevity, but that is not what it is meant to do after all. It is not meant to be a complicated, multi-layered perfume that challenges you and makes you follow its development over hours. 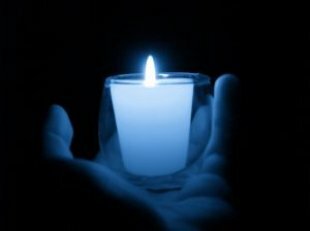 The bluish light of the name conjures up the inner part of a flame, the most steady part, but still evanescent, possibly fleeting, just like love itself. You have to take it as it is, enjoy it while it lasts and bask in its soft, warm bluish light, preferably without getting burned by the surrounding yellow flames. 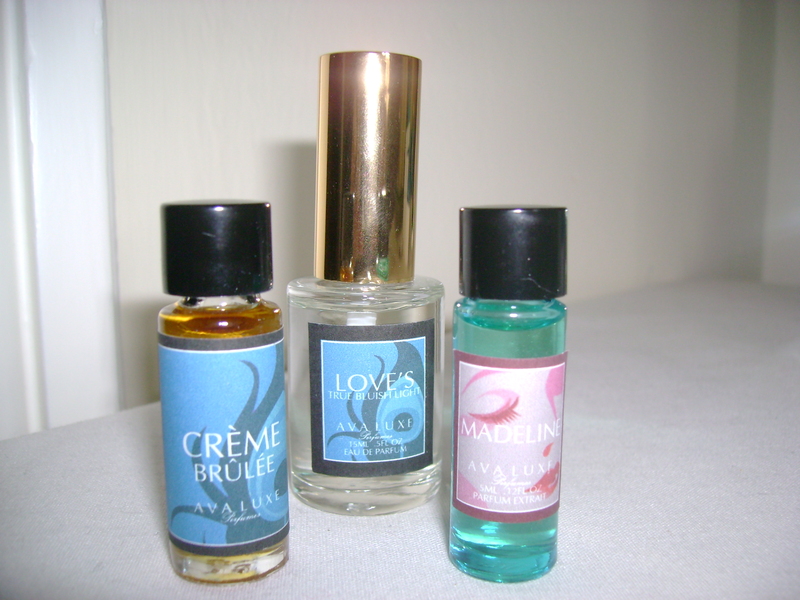 Love’s True Bluish Light is available as perfume oil or Eau de Parfum (that is what I tested) at Ava Luxe’s website. Picture source: my own, Blue Flame via everystockphoto.com, some rights reserved, thank you! This entry was posted in Ava Luxe, Fragrance Reviews, Oriental and tagged Ava Luxe, Fragrance, Independent Perfumers, Love´s True Bluish Light, Perfume, Perfumer, Review. Bookmark the permalink. I find the variety and pricepoint at Ava Luxe really impressive. I’ve worn this for a couple of years now, I think. I’m totally in love with it. It’s soft and more milky to start with, but dries down beautifully on me, without losing any of its elements. And I would have to say I’ve been very pleased with its longevity, though I tend to have luck with that. I highly recommend that anyone interested in these notes try it out. Just lovely! It is indeed a lovely perfume, I like to wear it to sleep, it is so cozy. As you might guess, my favorite part of the perfume universe. There are so many wonderful things being made right now, and everyone has sample programs if they primarily are etail-ing, as they must, so it’s affordably possible to explore. You are right, indie lines provide choice, easy access and sampling options and wonderful perfumes as well.